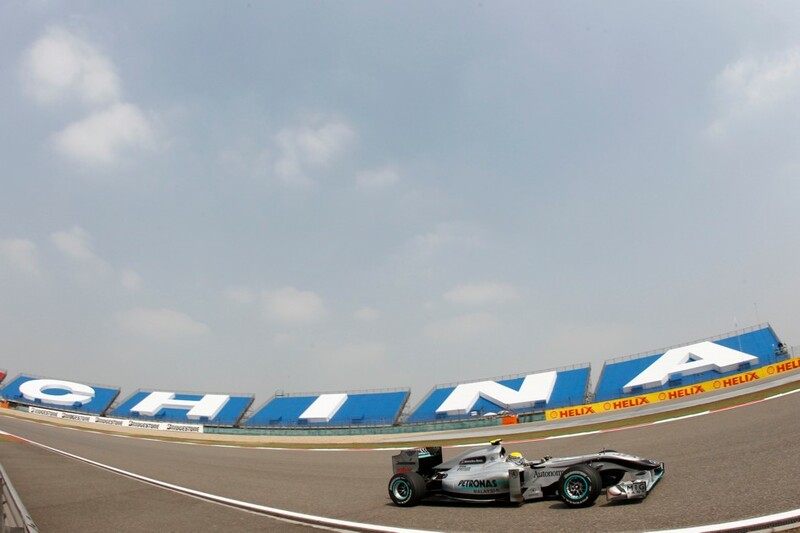 The 2010 Formula 1 has been anything but predictable so far as the teams entered Shanghai to run the Chinese Grand Prix. 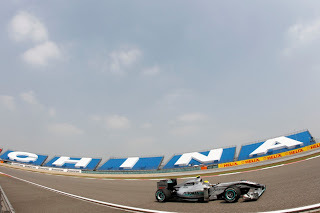 In a fresh case in point, day 1 practice in China saw substantial strength coming from the Mercedes-engine teams. In both practices, McLaren and Mercedes GP held the top-4 spots on the time sheet. However, as a new day dawned over the Shanghai International Circuit, Red Bull Racing used the day 2 final practice reminded the Formula 1 world that they're the most recent winning manufacturer thanks to Vettel's Malaysia Grand Prix victory. In qualifying for the Chinese Grand Prix, the Red Bull Racing team made use of their found speed to elevate them to the top in final Q3 session. In a fight amongst team drivers Sebastian Vettel and Mark Webber, the duo provided a titanic battle for which one would hold the preferred #1 grid position. Through the final minute, Mark Webber delivered a lap that topped a mark by Vettel. Seeking revenge after a lost opportunity to start on pole for his home grand prix in Australian, Mark Webber looked poised to start on pole until Vettel retaliated bettering Webber in the final seconds of qualifying with a 1 minute, 34.558 second time. Undefeated in grand prix qualifying so far this season, Red Bull-Renaults have been piloted to pole 3 times with Vettel and once by Webber who grabbed the previous Malaysia Grand Prix round. Red Bull Racing cars will start 1st and 2nd for the second time for a 2010 grand prix race. Being particularly quiet through the first day at Shanghai International Circuit, a partial awaking took place within the Ferrari team as Fernando Alonso stormed through to third place with his F2010. Ferrari teammate Felipe Massa remains slightly off-pace in China climbing to the 7th spot on the grid. A remnant to Mercedes-Benz dominance on Friday, a Mercedes GP team car was driven to 4th overall after Q3. Nico Rosberg again bested his seven-time World F1 driver champion teammate Micheal Schumacher who will be starting 5 positions back for the 2010 Chinese Grand Prix in 9th place. Rosberg's efforts also spoiled the work of McLaren Mercedes who has slotted right behind the factory Mercedes Formula 1 car. Starting 5th, Jenson Button will have Lewis Hamilton closely alongside with the start. With the Chinese Grand Prix scheduled to run at 4 p.m. local time in Shanghai, (3 a.m. Eastern time) a very real possibility of rain showers exists for the region of China according to current forecasts.